Congrats to Dr. Gong Chen, professor from Department of Kinesiology at CHaHS, provided a self-defense workshop for Sigma Alpha Zeta on August 29, 2018. About 20 female students participated in the workshop. 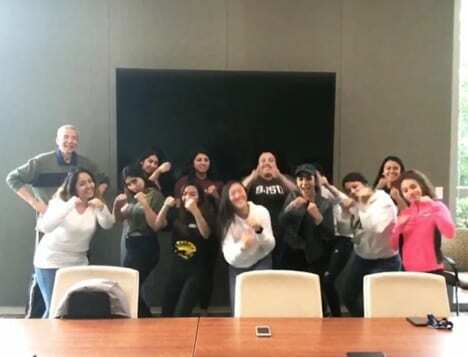 Students learned key mental strategies on preventing violent crimes and had hands-on experience defending themselves at different physical attacks. Dr. Chen has been conducting research and lectures on self-defense education as a different perspective on enhancing health and wellness.